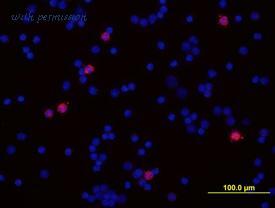 Figure A. RPE conjugated Rat anti Mouse CD11b ( MCA711PE ) and Pacific Blue conjugated Rat IgG2b isotype control ( MCA6006PB ). 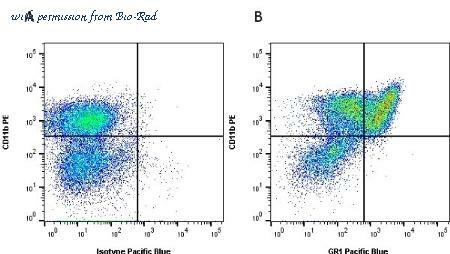 Figure B. RPE conjugated Rat anti Mouse CD11b ( MCA711PE ) and Pacific Blue conjugated Rat anti Mouse GR-1 ( MCA2387PB ). 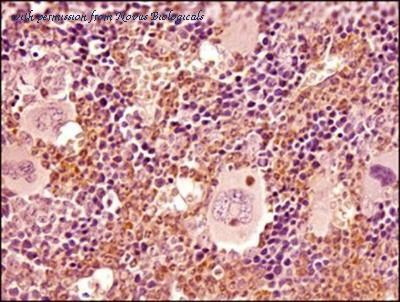 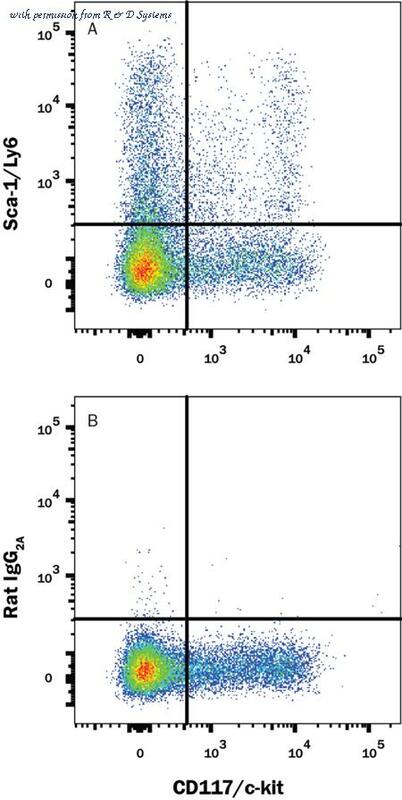 All experiments performed on red cell lysed mouse bone marrow gated on mononuclear cells in the presence of Mouse Seroblock ( BUF041A ). 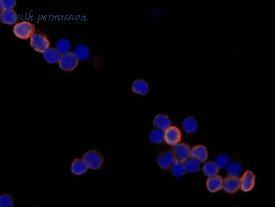 Data acquired on the ZE5 cell analyzer.